Donald Trump has said some horrible things about Immigrants from Mexico. 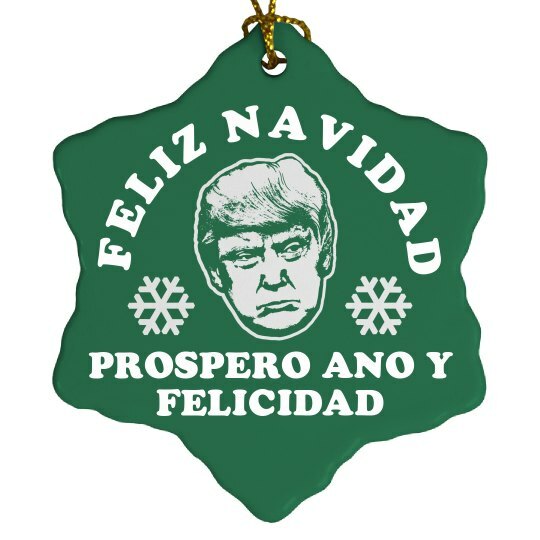 So, we thought it would be funny to put his grumpy mean face on a Christmas ornament that says 'Feliz Navidad prospero ano y felicidad'! 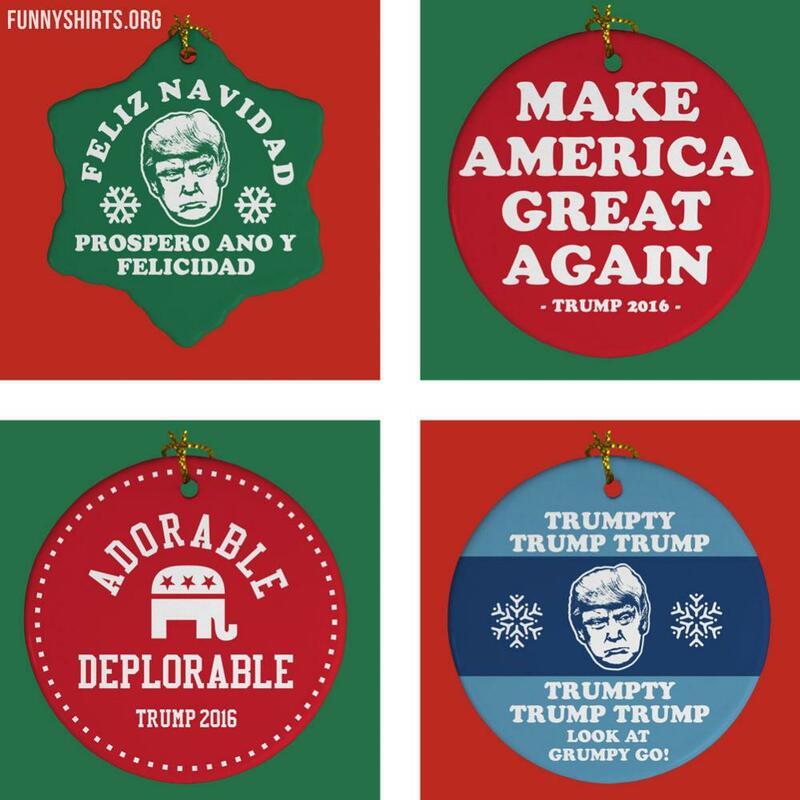 Wish your family and friends a Merry Christmas by hanging this anti-Trump ornament on your tree.